A forklift (also called lift truck, fork truck, fork hoist, and forklift truck) is a powered industrial truck used to lift and move materials over short distances. Forklifts have become an indispensable piece of equipment in manufacturing and warehousing. CFS foundry takes the role of producing all kinds of different forklift replacement parts with investment casting process, even machining process to forklift manufacturers or components dealers. Based on the good reputation of the quality of investment castings in the field of forklift , CFS has cooperated with some of the world-leading forklift manufacturers like Hyster U.S. OM forklift Italy and so on. Why Investment Casting for Forklift Parts? Investment casting is the precision casting process famous for its better accuracy than sand casting. So investment casting can produce good precison forklift components. Most materials for forklift spare parts are cast steel. Besides cast iron parts, investment casting could also be selected for cast steel parts in small & medium dimensions. Machining could be effectively avoided or reduced with investment casting method. This will help to save machining cost and production time for forklift parts. Investment casting is a custom process for metal parts, and allows for very complex shapes. 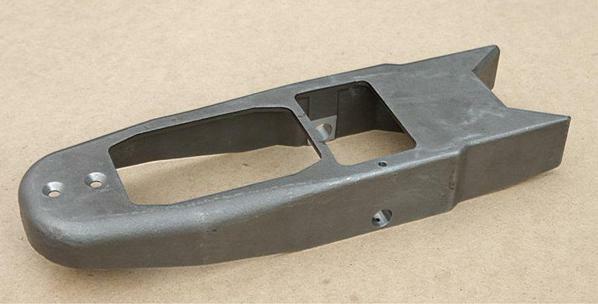 So almost all the forklift metal parts could be produced by investment casting. Forging will charge purchasing compaies very high tooling cost and have a min quantity around 1000pcs to start with. Investment casting could start from very small quantity, and do not cost much in tooling, which is quite cost-effective for small production run. CFS is one of the best investment casting companies in China. Importing investment cast forklift parts from China has been the trend of foreign companies who have such demands. For our great reputation in investment casting capabilities, more and more forklift companies turn to our company for ordering their forklift components. So what are our advantages? CFS company has full capabilities in investment casting. Besides investment casting, we could also provide services like machining, heat treating, surface finishing, ect. All these services will enable us to deliver finished components to our customers directly. Quality is the top considering factor to start cooperation. CFS company always focus on internal quality inspection job. From raw material to delivery, each proceduce will be tested strictly to advoid any possible mistake. Located in the second largest labour city, our customers will be beneficial for the convenient delivery to their destinations. Less delivery cost of forklift parts is required from our company. With semi-automatic production equipments in investment casting process, large amount of labour is saved. So pricing from our company for investment cast forklift parts is always competitive. CFS foundry also have forging division, so if you have any forging demand for forklift part, we could supply at the same time. Any need for forklift parts in investment casting or other processes, pls do not hesitate to let us know! How to Cooperate with China Investment Casting Manufacturers? CFS Foundry is the top custom investment casting manufacturer in China.We can supply all kinds of different investment casting parts in steel,iron,aluminum,ect. Pls contact us if you have any need for investment casting solution! How A Stainless Steel Casting Foundry Works? CFS Co.,Ltd is the leading investment casting foundry for various metal components in 1998. And since 2003, we started our exporting business to overseas markets, such as American, Australia, UK, Canada, ect. Investment Casting © All rights reserved.